Mark Thomas Vande Hei is a NASA Astronaut, ISS Flight Controller and a Lt- Colonel in the U.S. Army set for his first flight to space in 2017 for a five-month mission to the International Space Station as part of Expedition 53/54, traveling to and from the orbiting laboratory aboard Russia’s Soyuz spacecraft. Born November 10, 1966 in Falls Church, Virginia, Vande Hei attended Benilde-St. Margaret’s High School in Saint Louis Park, Minnesota from which he graduated in 1985 and enrolled at Saint John’s University, earning a Bachelor’s in Physics in 1989. He was commissioned in the U.S. Army in 1989 through the Reserve Officers’ Training Corps (ROTC), becoming a combat engineer and transitioning to the 3rd Battalion, 325th Infantry Regiment in Italy where he served as combat engineer platoon leader, heavy engineer platoon leader, cold-weather training officer and support platoon leader. As a combat engineer, he served in Iraq during Operation Provide Comfort. In 1994, he reported to the 299th and 4th Engineer Battalions. In 1999, he received a Master’s degree from Stanford University in Applied Physics and then went on to work as an assistant professor of Physics at the United States Military Academy. Then, in 2003, Vande Hei reported to the 1st Space Battalion at Petersen Air Force Base, starting in supporting positions before becoming the battalion’s operations officer. As a space support team leader, Vande Hei completed a 12-month tour in Iraq during Operation Iraqi Freedom. 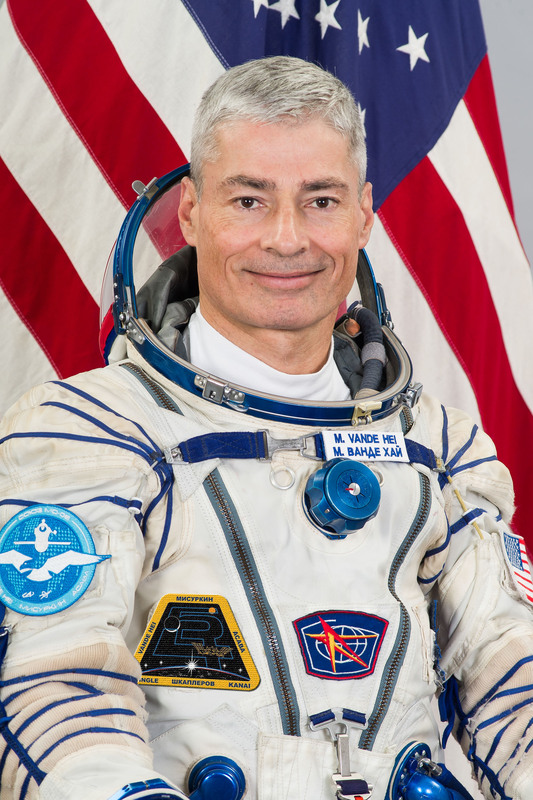 Mark Vande Hei transitioned to NASA’s Johnson Space Center in 2006 as part of a continuous U.S. Army Contingent working for NASA. 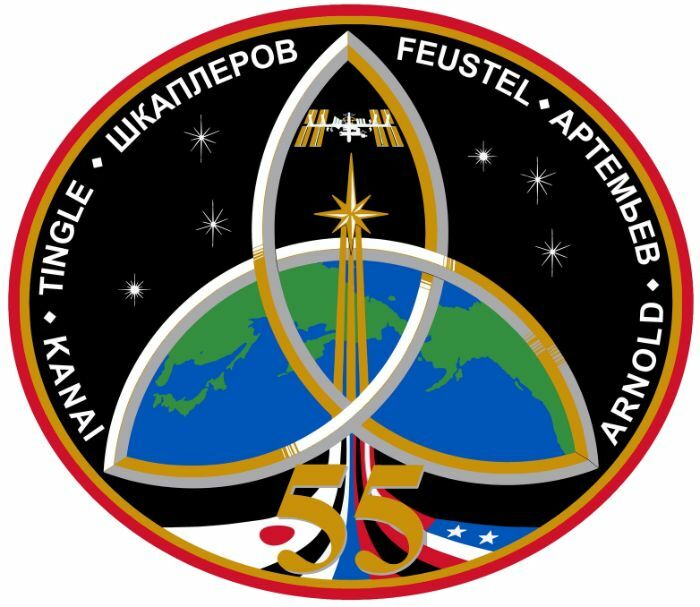 At Johnson, Vande Hei worked as Capcom supporting ISS mission operations between Expeditions 15 and 20 as well as five Space Shuttle missions. Vande Hei was selected by NASA as an Astronaut Candidate as part of the agency’s 20th Astronaut Group, announced in June 2009. He completed two years of basic training and evaluations, being familiarized with spaceflight procedures and technological matters. 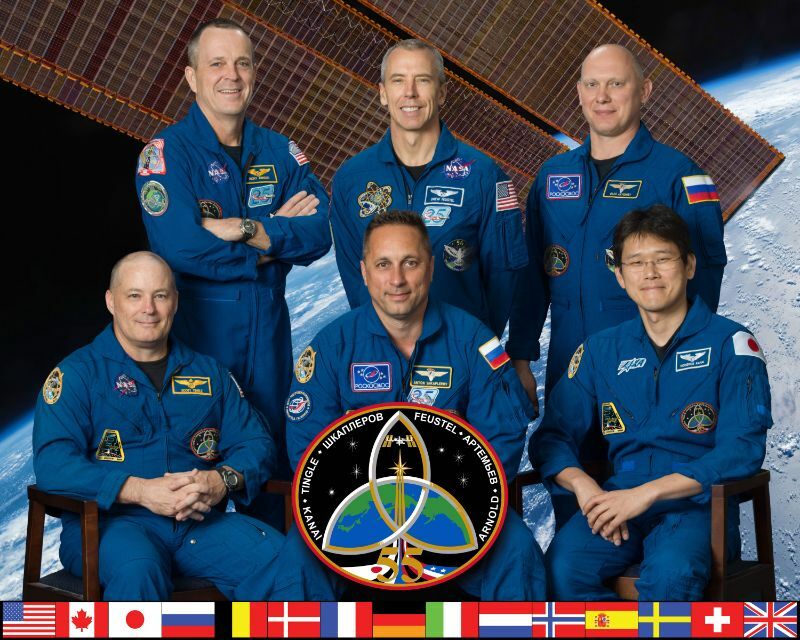 Qualified as an Astronaut in 2011, Vande Hei entered specialized training operations under the framework of the International Space Station and Soyuz programs, supporting the Space Station Integration and Exploration branches of the Astronaut Office and supporting mission operations at Mission Control as Capcom. 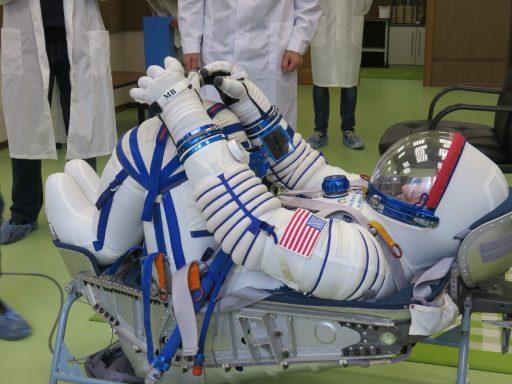 In 2012/13, he worked as the Astronaut Office Director of Operations in Russia. In July 2014, Vande Hei participated in the NEEMO 18 underwater expedition which lasted nine days. NEEMO stands for NASA Extreme Environment Mission Operations and involves multi-day expeditions to the Aquarius underwater laboratory off Key Largo, Florida. In addition to preparing Astronauts for the space flight environment, NEEMO also serves as a pathfinder for future surface exploration on the Moon, Mars and asteroids. Mark Vande Hei received his first flight assignment in May 2015 as part of the Soyuz MS-04 crew flying to ISS in 2017 for Expedition 51/52 with Aleksandr Misurkin as Soyuz Commander and Nikolai Tikhonov as Flight Engineer #1. They entered flight-specific training at the Gagarin Cosmonaut Training Center in July 2015 and went through winter survival training in a forest outside Moscow to prepare for the unlikely event of an off-target landing in winter conditions. The crew was in place for the launch of Soyuz MS-02 as backups and expected to fly on the MS-04 mission, however, there were considerable changes to the 2016/17 ISS crews due to Russia’s decision to cut its permanent staff on ISS to only two Cosmonauts. As a result, crews were shuffled and Tikhonov lost his flight assignment. 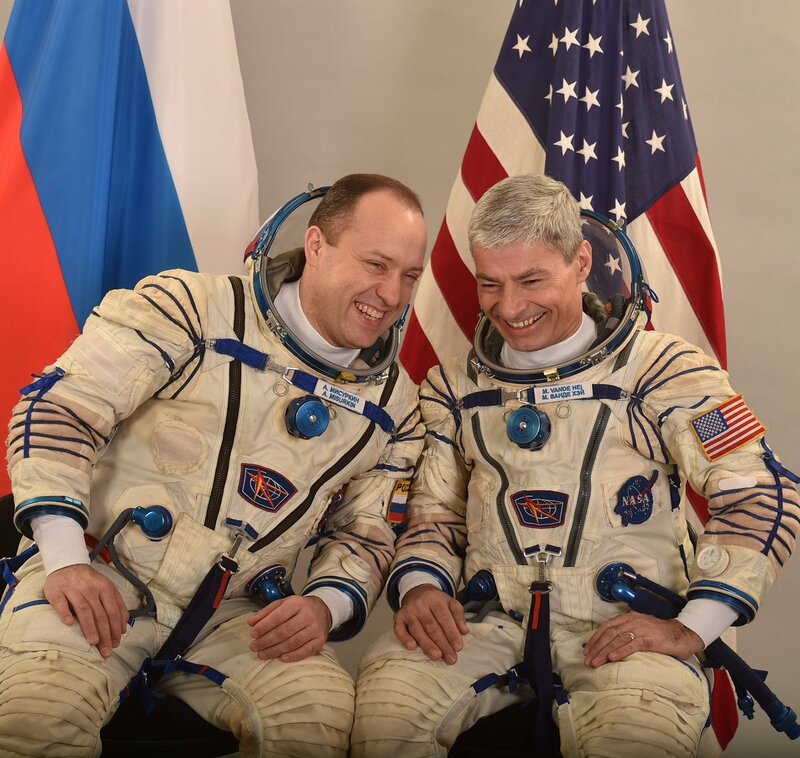 Misurkin and Vande Hei were switched to Soyuz MS-06 and NASA veteran Joe Acaba was called up on relatively short notice to join them as the USOS crew complement is stepped up to four. Misurkin and Vande Hei were again standing by at the Baikonur Cosmodrome in July 2017 as backup crew for Soyuz MS-05 along with Norishige Kanai who will fly on MS-07. 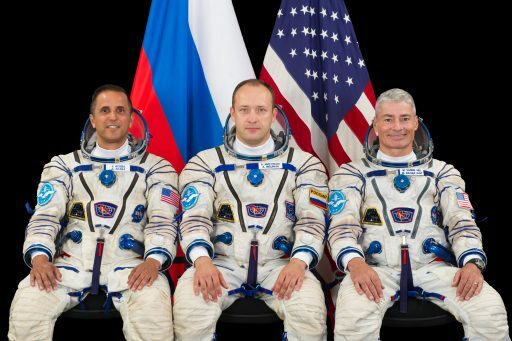 They then entered a final month of Soyuz and ISS training with Joe Acaba to be ready for a mid-September liftoff on a mission that is expected to be five months in duration, slightly shortened due to an upset to the regular Soyuz schedule caused by technical problems earlier in 2017. Mark Vande Hei is married; he and his wife have two children. In his free time, he enjoys exercise, camping, windsurfing and reading.